Madrid, 15th December– Cement Design, Leader Company in the manufacture, distribution and installation of continuous decorative coatings in eco cement just opens a new retail store in Miami City (EE.UU. 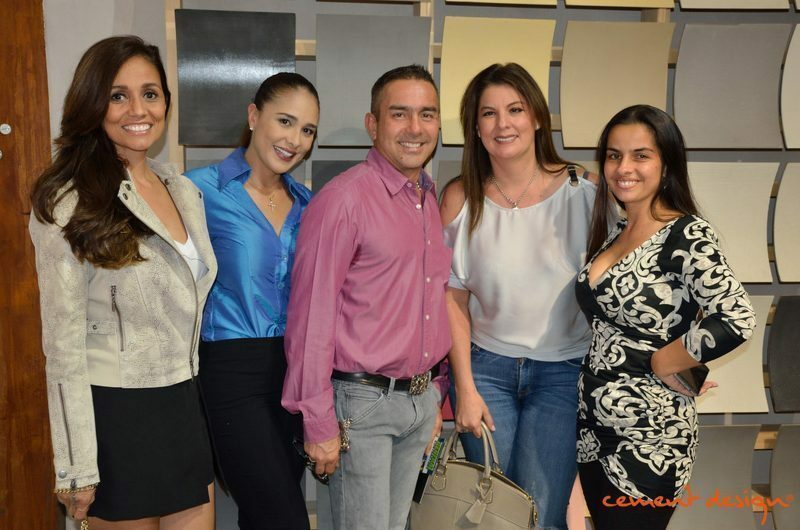 ), in the design space Black Canvas Gallery (46 Nw, 36th Street FL-33127), property of the artist Liliana Botero, niece of the famous Colombian painter and sculptor Fernando Botero. This Cement Design corner is set as a privileged meeting point for interior designers, architects and designer lovers in general in the heart of Wynwood Design District, the most bohemian and trendy neighborhood in Miami. On the occasion of the opening, Cement Design has offered a private party to which have been attended by guests from the world of interior design, architecture and construction professionals as well as the plastic artist Wolfrand Mercado, Dutch designer Rick de la Valeta y Liliana Botero as an special Cement Design Miami partner. Among the guests Architects were Jaime Muñoz (Estudio Arquitectónica), Paula Villabona (D-Essentials), Joaquín Fernández (Diamond Architecture), Mauricio Corredor (All Construction & Developers), Alfredo Masso (Boundless Builders) and Humberto Arias (Terranova). Likewise, the event was attended by the Miami´s firm team, represented by Zulma Martínez and Jorge Mendoza. The Cement Design Retail Stores are the perfect framework for the design and architecture projects conception with the decorative cements as a common denominator. This is a large product window with more than 50 textures (cementitious, metallic, stony, textile, etc. ), 120 customizable colors and a wide range of finishes and aggregates. Cement Design Miami joins to cities like Bogota, Mexico City, Santiago de Chile or Seoul who are part of the Company´s international retail sales.